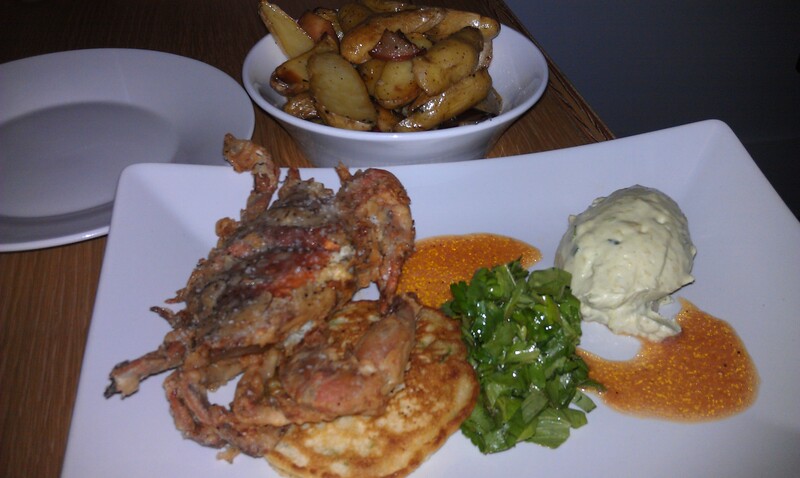 It’s an awesome season for soft shell crabs this year in Richmond, VA. Here are the few places I’ve had them and enjoyed them immensely. 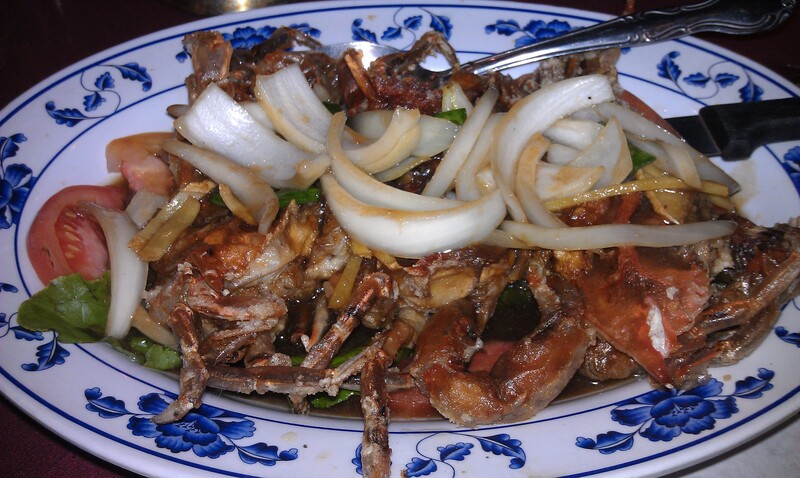 Pasture — My first soft shells of the season. Get the roasted fingerling potatoes with duck fat. Mekong — You can choose between tamarind or sesame ginger. I had no idea what to say when offered the choice. Server recommended sesame ginger to my delight. The Blue Goat — Chef LaCivita was serving these last weekend. So good! The Roosevelt — Anything from Chef Gregory is a good idea. Sadly, I neglected to get a picture. Gigi’s Farmhouse Ale — bottle conditioned Belgian farmhouse ale with Bravo, Select, and Cascade hops. Oak Barrel Stout — stout with peated and smoked malts dry hopped with oak chips and vanilla beans. This was the stout I selected to use in my first attempt at making a stout ice cream a few years back; it worked out really well. Come on out and live the dream tonight. Remember the fun starts at 6pm. 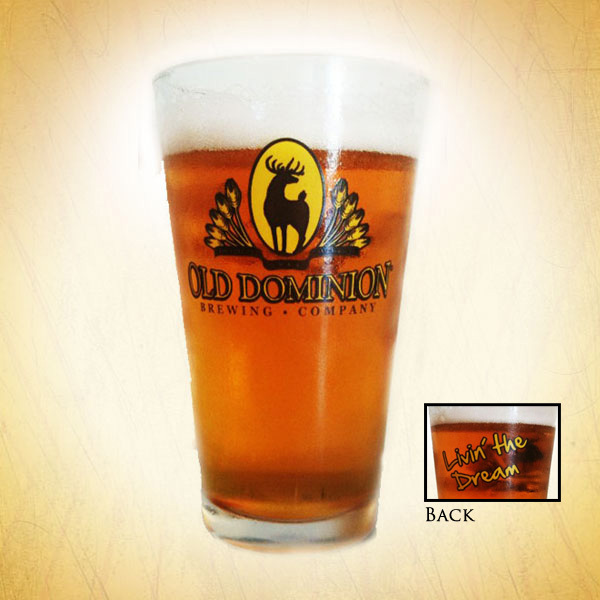 Once again it’s time for another Steal the Glass Night at Capital Ale House. Tonight, May 1st, Maisel’s Weisse is the featured brewery of the evening. I always get curious about what type of glass Cap Ale will be handing out so I took a look through Maisel’s varied selection to see if they had anything interesting. Boy, did they ever! Only way to find out which glass could be yours would be to go steal your own. 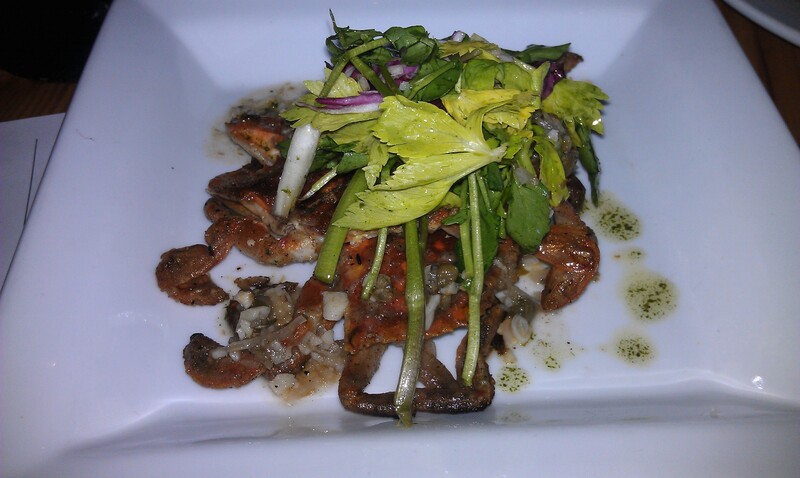 I had the most amazing birthday dinner of my life on April 27th thanks to Bistro 27 and Bobby Kruger. Bobby made me two birthday beer cocktails just for me. 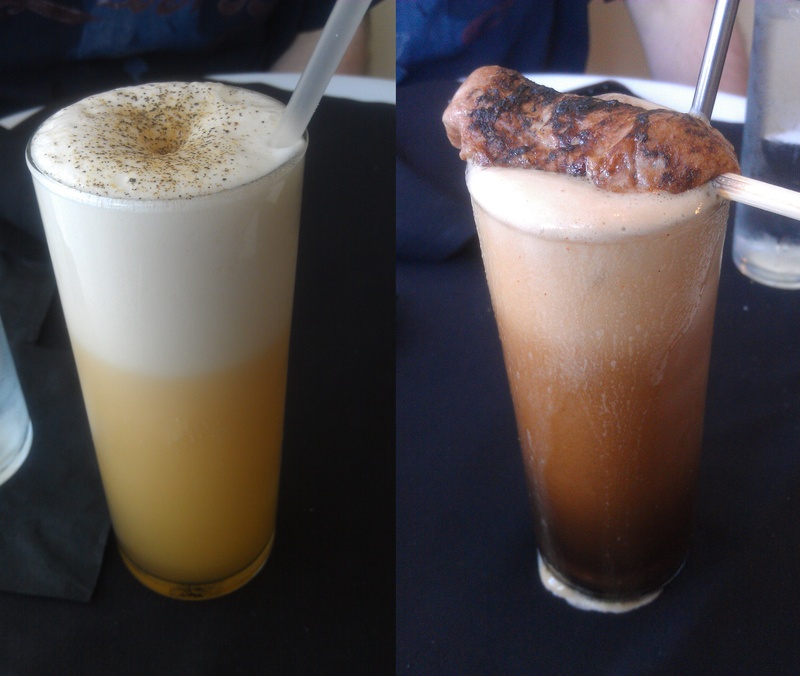 The cocktail pictured above on the left used Allagash White (one of my favorite beers), cardamom crystals, egg white and freshly ground black pepper. This cocktail was the perfect start to the meal prepared by Chef Silva. Choosing from the Restaurant Week Menu, my first course were mussels tossed in marinara sauce; I could not help but use the bread provided to sop up this tasty tomato concoction. 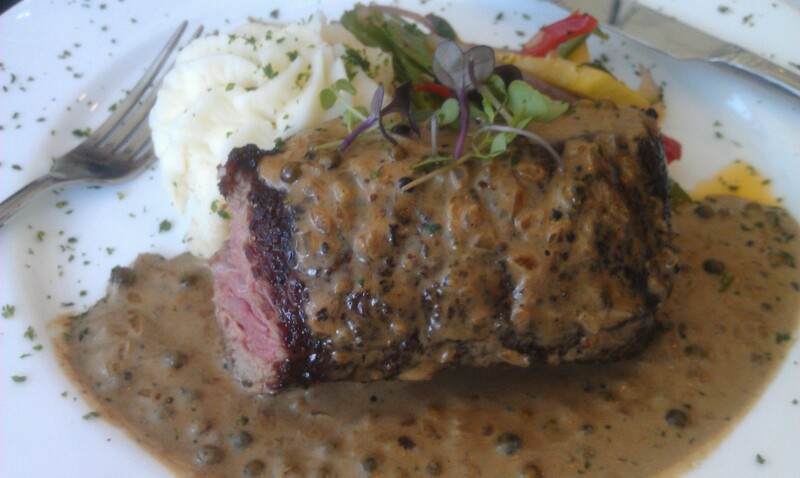 My second course was Steak au Poivre. This classic French dish was absolutely delish but don’t take my word for it. Have a look at this pic; I barely stopped myself long enough to snap it. My meal would have ended with the decadent dark chocolate torte for dessert but Bobby was not done with me yet. He created a mocha float using Hardywood Mocha Belgique with a charred chocolate marshmallow on top and with a kick from a bit of mole syrup. Once again guys, thanks for the superb meal!